Sputnik radio and news agency signed a cooperation agreement with the Ecuadorian news agency Andes. The parties agreed to cooperate in the media sphere, including the exchange of information in Spanish, the organization of joint events, as well as the mutual assistance of journalists on both sides. "Latin America is a very important region for our agency. Demand for news from this region is often high. I hope that the signed agreement will open up new opportunities for cooperation in terms of both ways of obtaining information and bringing our cultures closer together," Anton Anisimov, deputy editor-in-chief of Sputnik, said. Andes director Marco Antonio Bravo underscored the importance of the signed agreement for his agency. "I believe that it is a great achievement for the Andes Agency to become an agency with different contacts and agreements with several agencies of Latin America and in the world. We focus not only on Latin America; we are also very interested in what is happening in Europe and of course what is happening in Russia. I think it will be beneficial for both of our agencies to get information about the situation in Russia and Ecuador firsthand. We are very glad that we have such a partner as Sputnik now," he said. Sputnik is a news agency and radio network with multimedia news hubs in dozens of countries. 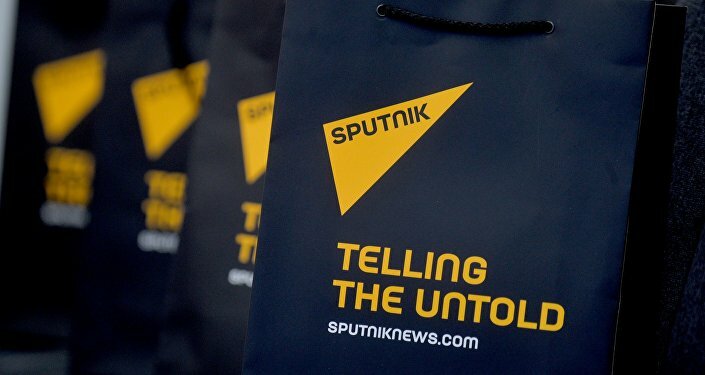 Sputnik broadcasts through its websites in over 30 languages, as well as analog and digital radio, mobile apps and social media. Sputnik newswires, available by subscription, run around the clock in English, Arabic, Spanish and Chinese. Andes is a public news agency in Ecuador that collects, processes and develops various multimedia and information content in order to provide national and international media with direct, reliable, accurate and detailed information on the political, social, economic and cultural situation in Ecuador.